What is the Healthy Start program? Healthy Start is a statewide non-profit program that provides at-risk pregnant women and infants with the resources, support and help they need to have good health outcomes. The program is voluntary and available to all Florida residents free of charge. What is the purpose of the Healthy Start risk screen? The purpose of the risk screen is to determine if there is something about your health, current living situation, or daily activities that could cause problems for you or your baby. How does Healthy Start make a difference? The goal of Healthy Start is to reduce infant deaths, reduce the number of low birth weight and premature babies and improve health and developmental outcomes. Healthy Start services can help you have a healthy baby! Healthy Start provides care coordination, childbirth education, breastfeeding support, parenting classes, mental healthy counseling, nutritional counseling, assistance to quit smoking and interconceptional counseling and education. What if I don’t need services? Should I still complete a Risk Screen? 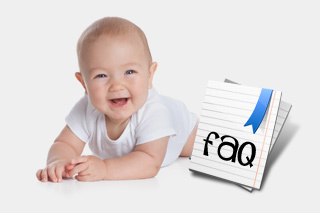 Even if you don’t need help or want to use Healthy Start services, answering the questions on the screen assists in obtaining the information and funding necessary to improve the health care system for ALL moms and babies in Florida! MomCare will help you have a healthy pregnancy and a healthy baby. It is sponsored by the Florida Department of Health (DOH) and Florida’s Agency for Health Care Administration (AHCA). MomCare helps you get answers to your questions. A caring Maternity Care Advisor (MCA) will be assigned to you. Your MCA will assist you in getting prenatal care and other pregnancy-related services; such as WIC, childbirth, parenting and breastfeeding classes or counseling. How will your Maternity Care Advisor (MCA) help you? It is important for you to contact the MomCare Program and provide the name of your doctor or midwife. Please contact your MCA as soon as possible. If you have not already chosen your doctor or midwife, your MCA will help you find one close to your home. It is important for you to make this decision soon because early prenatal care helps to reduce pregnancy complications. We look forward to helping you have a healthy pregnancy and a healthy baby.